� The Externship Program application deadline is tomorrow at midnight. The program is run by the Alumni Association. 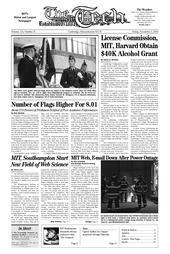 Send news information and tips to news@the-tech.mit.edu.